A devotee from USA shared her experiences and she says “This experience is really a miracle for me. Whenever anybody will read it, he/she will also say it miracle. I am elaborating how Baba helped me in my critical situations and blessed me with happiness of my life. Thank you so much for making such a nice platform. My experience starts from here, I had been married and from last two years we were trying for baby and it was very hard to conceive for me. We did not understand what the issue was. Suddenly my husband had been provided US transfer. I left my job from India and migrated to US. Once I shifted in US, I applied my work permit, although it takes 3 months but in my case it took 5 months and that too when I got my work permit I got it for one month only. I was so much annoyed and I asked Baba to do something for me. I reapplied and this time with Baba’s grace I got my work permit within 20 days. Nobody can believe how soon it was done. In between my cousin’s wife told me to do Sai Satcharitra Parayan. I was not aware of the book. But when I came to US I had a wish to read the book as I was in problems. I was counting my wishes and I exactly found 3 important things from Baba at that time, 1. My work permit. 2. Job. 3. My wish to conceive baby. Every time I keep on going on Baba’s website and keep on asking about my questions and I get positive answers. One of my aunt used to read Sundar Kand in India, I just made a wish that I will also read Sundar Kand if I get the time on Tuesday else Saturday. I started my Thursday fasts and I mentioned it to Baba that until my wish will be completed, I will keep on fasting. So I started Sundar Kand and my Thursday fasting. And i completed Sai Satcharitra in single day only. After that i was not satisfied, so i read it again and finished it in 7 days like Saptah Parayan. 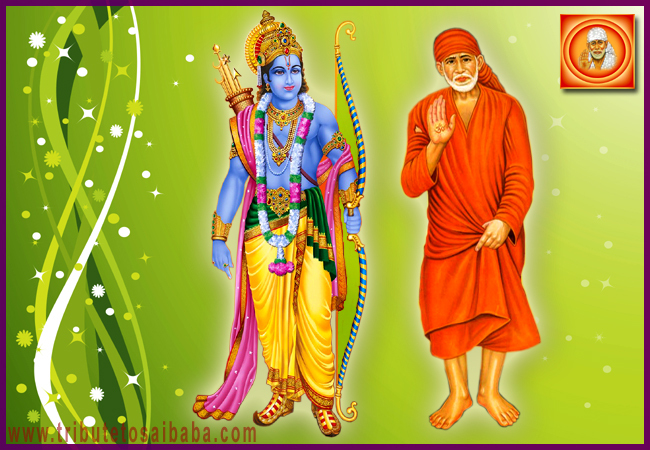 Once I completed my Satcharitra, after that I went to Baba’s questions and answers site and I asked about my 3 wishes. I was stunned to see the answer. Which was truly a miracle for me. “A boy will be born. Greeting letter or telegram will come. The work is in Mumbai, or a big city nearby, it will be completed” It was exactly my answer. Within 20 days I received my work permit in my mailbox. Which was valid for three years (Earlier I received my work permit only for a month and even it came in 6 months). Within few days I got an awesome job in awesome company. But still my conceiving was issue. I was still not able to conceive. However, I had trust on Baba’s answer, but still I was worried. Just because of this my husband said that he can’t wait and he took the appointment for a doctor. Once I met the doctor the worst news I found that my tubes are blocked. I prayed to Baba please do something for me, by Baba’s grace doctor was able to open one of my tube but still one tube was blocked and it was only 50% chance of conceiving. But by Baba’s magic I was 100 % sure that now something good would happen I keep on doing Parayan and keep on asking questions to Baba and got positive reply that everything will be fine. One day I saw Baba’s Picture and it was written there “Read Sai Satcharitra”, I though it’s Baba’s hint for me to start it and luckily it was Teacher’s day on that day and I finished Parayan in 3 days as because on third day it was Thursday and I want it to get Satcharitra completed by Thursday only. On Sunday morning, suddenly my husband played Baba’s movie on our TV, I felt like Baba Himself has come to my home and in the evening I made rice for Baba and went to temple, there I prayed Baba for forgiving me for all my sins and blessed me with good news. I was very sad too on that day, due to some personal problems of my life, that night I saw a dream that I am in the hospital and my pregnancy test is positive. And I noticed that in that dream I was remembering Baba. Finally, within first month of treatment, Baba blessed me with the good news of my conceiving. And the next day I saw Baba in my dream, where He instructed me to pray for Lord Shiva and Maa Durga. As today is Thursday I did Udyapan for my Thursday fast, as Baba has blessed me with all my 3 wishes. Faith and Patience is really required while doing pray to Baba. So this was my experience. Thank You so much Baba for this. Thanks for reading it.